Department of Computer Science & Engineering had successfully organized a National Hands on Workshop on “Web Development Using Python Django” for B.Tech III year students. 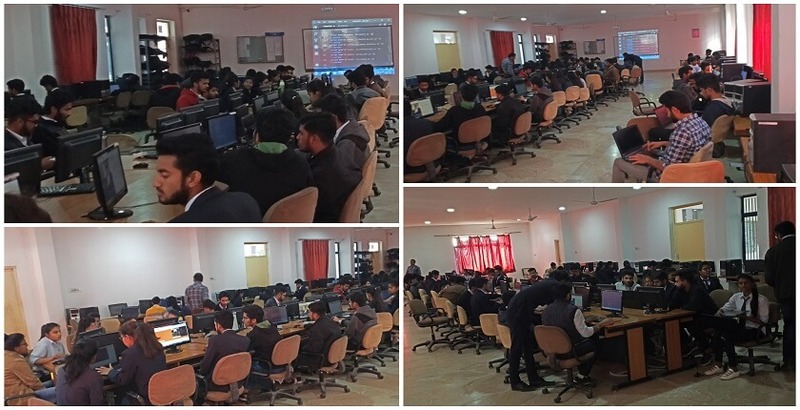 In this workshop, 87 students participated to learn basics of Python, Django Web Framework, Hands-on demonstration of server side programming in python and SqlLite. The workshop was held during 23-25 January in which students were highly benefited of exposure on Django. The workshop was delivered by Mr. Gaurav Dodiya, Senior Developer, Universal Informatics, Indore. Mr. Gaurav have also suggested emphasized the importance of Python programming language in today’s era. In conclusion session, Dr. Amit Sinhal , Professor and HOD CSE concluded the importance of Hands-on training in IT field and motivated students to work on live projects assigned by trainer.